It was viewed as a sentimental decision when Chelsea announced the return of Didier Drogba for a second spell at the club. 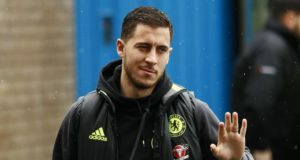 The 36-year-old had been in the wilderness for the last two years since leaving Chelsea in 2012. There is no doubt about the legendary status Drogba enjoys amongst Chelsea supporters, but some saw this as a small backward step for Jose Mourinho’s team. He appeared a shadow of his former self in his first start, since his return, against Schalke. 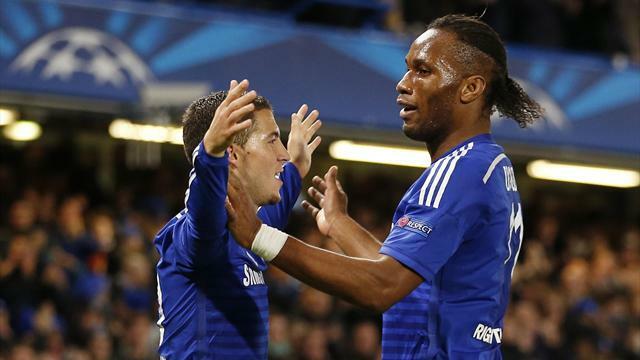 In the last few weeks, though, Drogba has proved everyone wrong. He may have lost some of his physical attributes like pace, but he still remains a player who can strike fear into the opposition. He crucially helped the team when both Diego Costa and Loic Remy were unavailable. 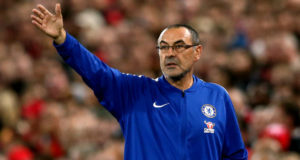 It is not surprising that Chelsea latest standings see us top of the table with an eight-point advantage over Manchester City. “This year the key for me is to enjoy my football and to be with my team-mates and to win trophies. There is one more year to go so let’s do it, let’s win more trophies, let’s make history again. “I have always said my first eight years here were the best years of my career. I know they enjoyed it because I did. 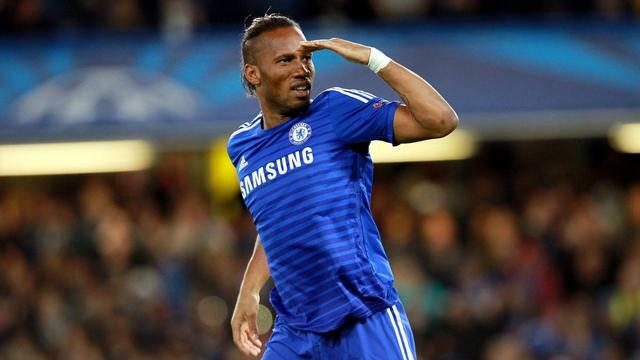 Drogba signed a 12-month contract last summer. The former Ivory Coast international may claim that he still has the legs to last a long time in football, but he would be 37 in March. This would undoubtedly play a huge role in securing another deal from Chelsea. There has been a seismic shift in Chelsea’s attitude over the last few years. The blues are rather reluctant to offer older players new contracts. It appears that even John Terry is not an exception, as the Chelsea captain is fighting for his future at the bridge. The prospect of playing in the MLS or Middle East may appear enticing before potentially returning as an ambassador at Chelsea. Even though the blues have worked extremely hard to reduce the average age of the team, the summer transfer activity has made the forward line up as one of the oldest in the team. Diego Costa is the youngest of the trio at 26 years of age. The possibility of allowing Drogba to leave and bringing in a young striker to complement Costa and Remy appears to be in works. Benfica striker Anderson Talisca has been showing promising signs of late. 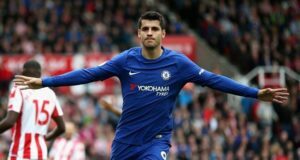 Chelsea have reportedly sent several scouts to look at the striker, who offers a similar level of physicality as Costa. He is the leading scorer in Portugal with eight league goals. This impressive form has seen him called up for Brazil’s upcoming friendlies against Turkey and Austria. Looking at the success Chelsea have had with Brazilian players over the last five years, it would not be surprising to see the Talisca at the Bridge in the near future.